When it comes to powering your home theater devices, coaxial cables and coaxial cable connectors are essential. These components are useful whether you need to transfer digital surround sound to the receiver or amplifier or carry video from a security or remote camera to a DVR. These cables are also commonly used to run wiring through walls for a TV connection and in security applications, including to wire closed-circuit TV (CCTV) and security cameras. 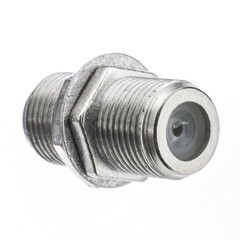 Regardless of the cable or coaxial cable parts that you need, CableWholesale has an enormous selection to choose from. The most common coax cabling today is RG6 cable. This cable type is often used to replace the older RG59 cable, which has a lower bandwidth. Our selection of RG6 coaxial cable includes solid-core options — all of which come backed by a lifetime warranty — in convenient lengths of 1,000 or 500 feet. 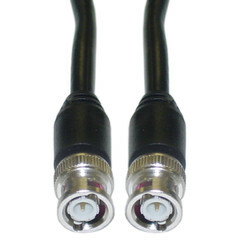 We even offer our bulk coax cables in convenient pull boxes for easy access during large jobs. 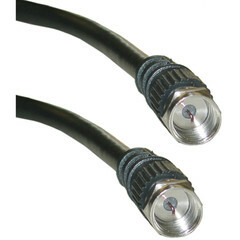 We also carry BNC cables, which are the popular choice for applications where you need to transfer video from a camera to a DVR. 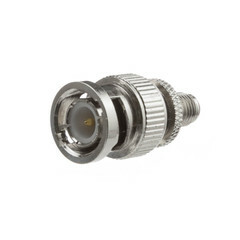 Not only do we offer a wide variety of wholesale cables, we also offer a ton of useful coaxial cable parts and supplies for building or restoring coax cabling. 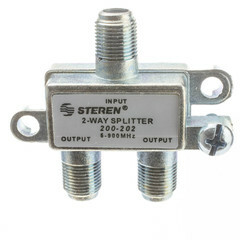 We carry an unbeatable selection of coax cable connectors including F-Type connectors, RCA coaxial connectors, BNC coaxial connectors, F coaxial splitters, and more. Like our cables, each fitting is made with premium-quality materials and come backed by lifetime warranties. We even offer free shipping on many orders!